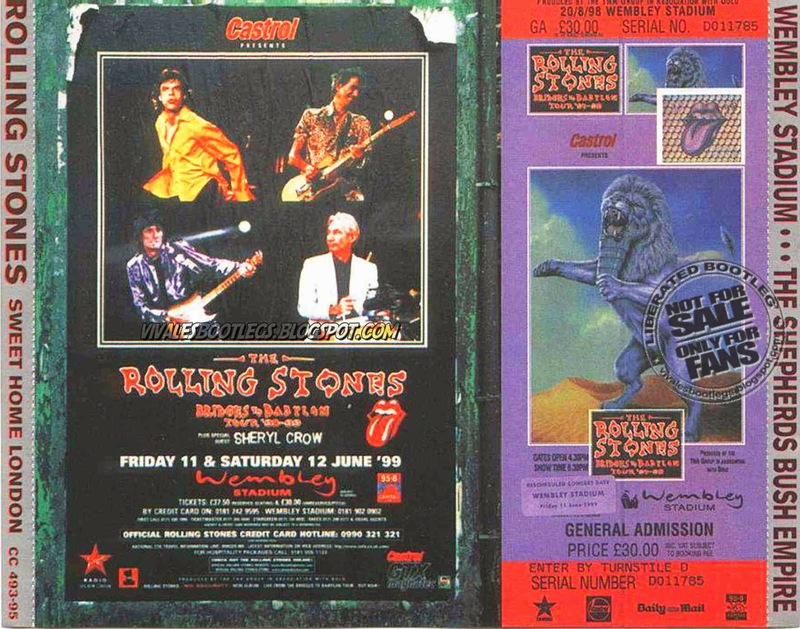 Recorded Live at Wembley Stadium, London June 11, 1999 and Shepherds Bush Empire, London June 8th, 1999, UK. Files: 38.:: Size: 1.41 GB (flac). Additional musicians: Darryl Jones: bass - Chuck Leavell: keyboards, backing vocals - Bobby Keys: saxophone - Tim Ries: saxophone - Michael Davis: trombone - Kent Smith: trumpet - Lisa Fischer: backing vocals, percussion - Bernard Fowler: backing vocals - Blondie Chaplin: backing vocals, percussion. Notes: Silver discs - dBpoweramp secure rip - flac level 6. 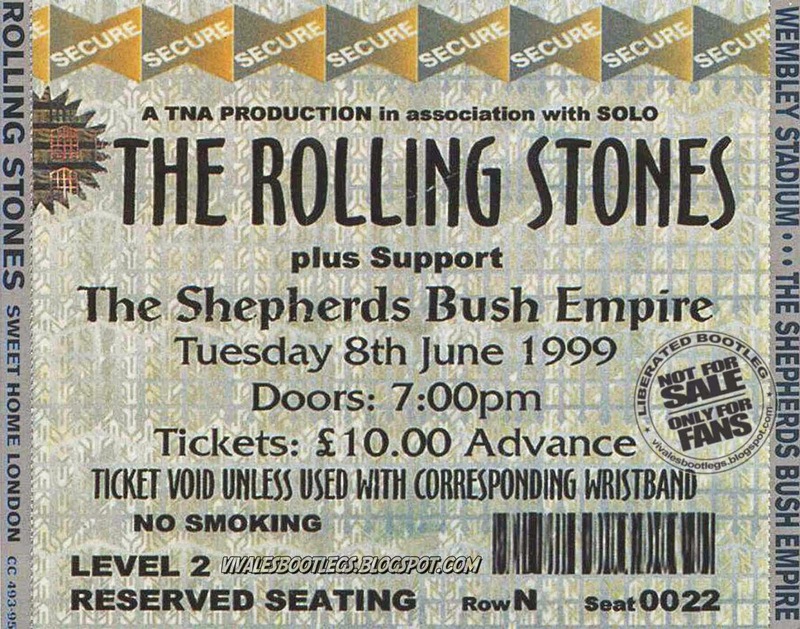 Wembley: excellent crystal clear audience recording (approaching soundboard in clarity); a small microphone scratch during "Like A Rolling Stone" // Shepherds Bush Empire: very good/excellent audience recording.